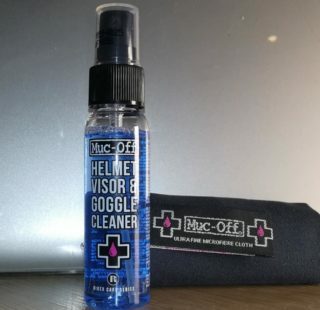 Review: Muc-Off Disc Brake Cleaner - ADVNTR. 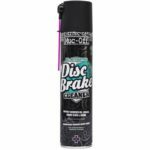 Several years ago, I invested in a can of Disc Brake Cleaner. Riding through the winter, the rotors on my mountain bike would periodically become contaminated. Generally this manifested itself in a banshee squealing or simply a loss of braking performance. 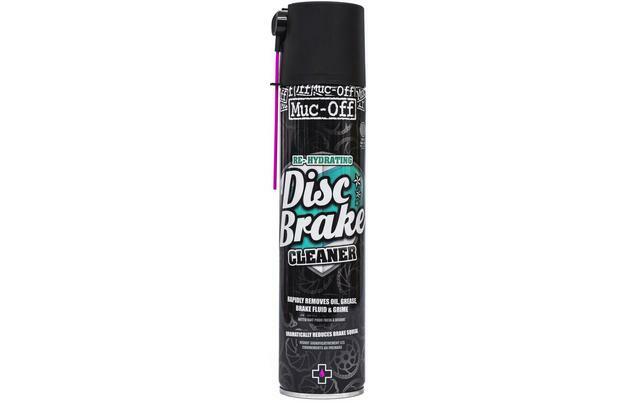 New pads solved little and it was not until a (motor cycling) friend told me to buy some Muc-Off Disc Brake cleaner that I was able to solve the problem. The type of riding I do has changed subtly of late. I spend less time riding through axle deep gloop nowadays and my need for rotor cleaner has diminished. It was not until recently however, that the old problems returned and I had to rummage in the workshop for my trusty can of magic cleaner. Unsurprisingly, it quickly restored my brakes to perfect working condition. Using the cleaner is simplicity itself. Spray onto both sides of the offending rotor, leave it until the fluid has evaporated and wipe off with a clean cloth. Your clean cloth will now be a dirty cloth, but your brakes will work once more. I tend to protect paint and other surfaces, more out of habit that anything else but I think it is a wise precaution. Unless you have a busy workshop, you will not use a lot of this and your can may well end up speckled with rust as mine is. Recommended retail price is £9.99. 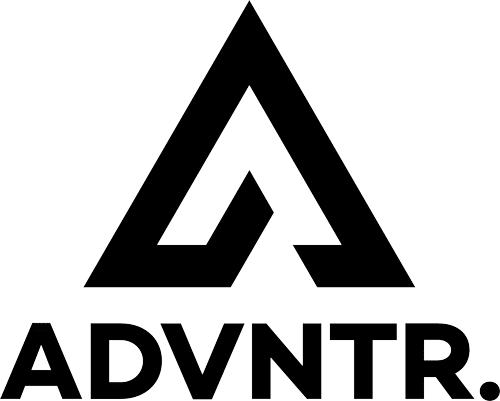 If you have disc brakes, buy some now. Keep it in the cupboard and use it when your brakes start to misbehave. It may last you a very long time but it will be £9.99 very well spent. 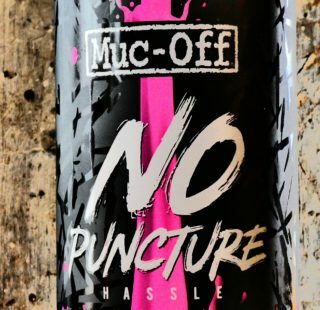 NB The Muc-Off site shows it is out of stock but a very quick search online shows it is available through many retailers.